Preparation Methods & Dosage :Fresh grated root, combined with cider vinegar and honey. 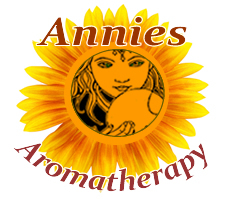 Use it externally as a poultice or plaster for rheumatic joints and to stimulate blood flow. One to two tablespoons of fresh grated root daily, 1/2 teaspoon tincture, or as horseradish dressing on foods. Grate it into a little lemon juice or vinegar. In the Kitchen: Horseradish or 'prepared horseradish' refers to the grated root of the horseradish plant mixed with vinegar. Prepared horseradish is white to creamy-beige in color. 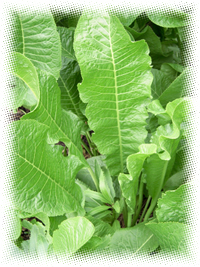 The young leaves can be lightly steamed and tossed with blander greens for a healthy meal. Horseradish Side Effects: Overuse may blister the skin. Do not use it if your thyroid function is low or if taking thyroxine. Flowers/Fruit/Seeds:The flowers from the stalk in panicles and are small and white. Leaves:A majority of the leaves rise directly from the top of the root on long, channeled leafstalks. The color is dark green, about a foot in length with wavy, toothed edges. Harvest Season:The roots can be dug any time of year the ground is not frozen. 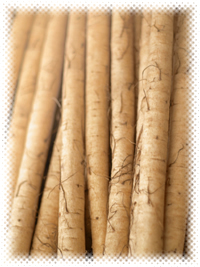 Gathered in autumn and stored in a cool celler, horesradish will keep until the next season. They are both under Mars. The juice of Horse-raddish given to drink, is held to be very effectual for the scurvy. It kills the worms in children, being drank, and also laid upon the belly. The root bruised and laid to the place grieved with the sciatica, joint-ache, or the hard swellings of the liver and spleen, doth wonderfully help them all. The distilled water of the herb and root is more familiar to be taken with a little sugar for all the purposes aforesaid. Taken with oily fish or rich meat, either by itself or steeped in vinegar, or in a plain sauce, it acts as an excellent stimulant to the digestive organs, and as a spur to complete digestion. It is a very strong diuretic, and was employed by old herbalists in calculus and like affections. The root is expectorant, antiscorbutic, and if taken too freely, emetic. It contains so much sulphur that it is serviceable used externally as a rubefacient in chronic rheumatism and in paralytic complaints.